To save time in transition - no pesky tying of laces required - just tighten and go! Orca's new racing belt has laces to hold any type of race number. It also features a horizontal zippered expanding pocket, so you can carry food and valuables, without losing them. 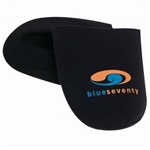 For extra comfort, its adjustable clasp allows you to adjust the tightness of the belt. An essential accessory for every triathlete. The 2XU Run Belt is engineered to support runners at training or on race day. The Zone3 Elastic Shoe Laces feature top of the range heavy-duty elastic cord and are perfect for those speedy transitions. Personalize your look with the world's easiest lacing system, elasticized for convenience, security, and speed. The Ortho+ Knee Sleeve offers support for any mild knee injury, while providing improved circulation, coordination, and muscle and joint stabilization. Support your ankle with targeted compression while still having a full range of motion. For bras, thighs and feet. This dry, non-greasy skin lubricant helps prevent blisters and chafing caused by rubbing from shoes, clothing, and skin rubbing skin. Invisible, non-messy, with no oils. Bodyglide For Her features a light feminine color and no fragrance. Ergonomic Relaxed Fit for Comfortable Everyday Application. XF-Series features a Flat Lace with a self-forming tapered Flat Knot design, making XF laces the easiest to lace-up and adjust in the Xtenex Accu-Fit Lace Series. Moderate Fit. XH200 Series services eyelet diameter sizes (from 2.5 to 3.5 mm). Depending on the diameter of the eyelets this lace may need to have a square knots tied at the ends. However it is not necessary to untie to take shoes on and off. The tapered knots will maintain your desired comfort level. Features strategically placed toggles to hold your race number and a gel system to securely hold gels horizontally, so they don't bounce out. An adjustable centre back clasp buckle helps you get the perfect fit so you are left to just concentrate on your performance. Includes 2 pairs of Wigwam Ironman Lightning Pro Low Cut Socks. This Running Medal Hanger features quality metal construction and 2-hooks. Comes with mounting screws. Width: 4 inches. This Cycling Medal Hanger features quality metal construction and 2-hooks. Comes with mounting screws. Width: 4 inches. The MT-20 is a high quality folding take-along tool that features forged aluminum side plates, a mix of hardened and plated tools, and smooth ergonomic operation. This Marathon Medal Hanger features quality metal construction and 5-hooks. Comes with mounting screws. Width: 10 inches. This Triathlon Medal Hanger features quality metal construction and 2-hooks. Comes with mounting screws. Width: 4 inches. This Triathlon Medal Hanger features quality metal construction and 8-hooks. Comes with mounting screws. Width: 20 inches. This BIking Medal Hanger features quality metal construction and 2-hooks. Comes with mounting screws. Width: 4 inches. Fully adjustable race number belt. Features 6 gel loops: 3 gel loops on each side. Unique Christmas/Holiday Tree Ornament. Comes with Gift Box. 7.5 cm diameter approx. Unique Christmas/Holiday Tree Ornament. Comes with Gift Box. The ventilated upper and cushioned sole make this sock perfectly ventilated and comfortable for all types of riding conditions. This adjustable race belt eliminates the need to use safety pins and features an elastic organizer that allows you to store 3 pouches of gel. THERMO neoprene toe warmers provide maximum warmth to keep your toes warm all winter long. Cycling toe warmers with a Reflective logo for safety and flatlock stitching for durability. Professional Athletic Fit. The faster way to get in and out of your shoes. Secure and quick, Xtenex laces make your transitions faster and your run more efficient. Once out of the water and onto your bike, Nineteen offers neoprene toe covers to keep the feeling in your toes for T2. Your bike shoes are probably vented for rides on hot days, but those same vents will keep your feet cold on cold days. Made of 2mm Neoprene rubber, these Toe Covers can be put on or taken off during a ride and will slip over almost any brand of road or mountain bike cleat and shoe on the market. Fully adjustable race number belt. The perfect accompaniment to any 2XU race wear. One size fits all. Never loose a snap, button, or cord lock again because there are none! Hold your race number on with these new locking mini-clipboard attachments that never get lost. The Zensah Knee Sleeve is ideal to provide comfort and warmth to knees. The Zensah Knee sleeve features mild compression so your range of motion is not hindered, but you still gain the benefits of compression and added support. Each knee sleeve is made using seamless technology. Ships as a single unit. Featuring a seamless toe closure and a heel tab to reduce slippage, the Wigwam Ironman Lightning Pro Low Cut Socks are great for both training and racing. Triathlon Figures Licence Plate Frame. Dimensions 12 1/4" x 6 1/4". Durable Molded Plastic. Drop that local car dealer advertisement from around your license plate, and proclaim the passion for your sport wherever you go. Swim Bike Run Licence Plate Frame. Dimensions 12 1/4" x 6 1/4". Durable Molded Plastic. Our Toe Covers are essential riding gear if you're out in colder weather or where there's a bit of rain. Made from neoprene they slip over your cycling shoes in less than perfect weather - we use them most days when we're home in Seattle. And let's not forget those cold early season races - riding without socks in your tri shoes? No question, our Toe Covers will keep your toes toasty warm and save you time in transition. The Zoggs Athena II Womens swim goggles are specifically designed for women, CLT curved lens technology for exceptionally wide peripheral vision, FogBuster anti-fog lenses, flexi-fit one-piece TPR frame, and hi-tech quick-fit head strap adjustment mechanism. Make The Transition! A Better Fit that You Never Have to Tie Again Yankz! Sure Lace System is the most comfortable and innovative lacing system available. The unique design is ideal for walking, running, hiking, gym class, biking and other athletic activities. Expandable cords provide an unsurpassed level of personalized fit and comfort. No more tying, retying, double knots or frazzled dirty laces. Slip on your shoe with Yankz! Video available here. Options available.